Last week, the Entertainment Software Rating Board (ESRB) and CTIA, a wireless industry conglomerate, announced plans to roll out a content rating system targeted exclusively at mobile apps. On Tuesday, details about the system emerged and it appears Android and iPhone OS may not play ball. In order for the ratings platform to work, companies such as Google and Apple must choose to participate in the program. The ESRB claims that six app markets are already on board, although it will be up to each company to announce their participation. However, Bloomberg reports that Google and Apple may yet to be included in those six. "We’ve put a lot of effort into Android Market’s rating system, which now works well globally," adding "While we support other systems, we think it’s best for Android users and developers to stick with Android’s existing ratings." The ESRB stated existing rating systems found in Android Market and Apple's App Store have much in common, so the organization is mostly unaffected by the cold reception it has received from the two biggest players in mobile apps. "The CTIA and company ratings systems have more in common than not, and the goal is to get information to consumers," said David Diggs, CTIA vice president for wireless Internet development. Ratings will be self-determined by app developers and publishers with no additional fees. App stores will provide a questionnaire-style assessment which will ask a series of questions designed to profile the software's content. 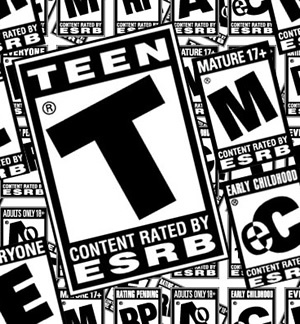 Once the application is submitted, the appropriate ESRB rating is determined instantly by a computer. Metrics which determine the appropriate ages for titles will likely be indistinguishable from existing ESRB game ratings. The most important criteria considered will be the inclusion of sexual content, violence, vulgarity and references to illicit substances. The ratings will also take into consideration socially generated content and whether or not the app shares details about the identity of a user, such as GPS location. "We applaud CTIA and ESRB for developing an easily accessible rating system that enables families to make the best decisions about the content their kids access on mobile devices. Keeping informed about mobile apps and holding open, honest conversations with your family is the best way to stay on top of emerging trends and experience all of the great things the Internet has to offer." Because of the self-regulated nature of ESRB's plans, they will maintain a non-computerized presence on mobile software store fronts to ensure ratings quality. The organization plans to routinely check popular apps and adjust ratings as necessary. They will also be monitoring complaints and reviews for clues that apps may not be living up to their self-prescribed content rating standards.